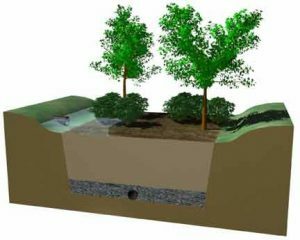 High percolation rates to prevent surface ponding over 48 hours. Large capacity to sequester pollutants as water percolates through. Support for the growth of plant populations. Our precision blended bioretention soil provides these performance characteristics.